Although high-end smartphones can boast anything up to 4GB RAM these days, the iPhone has been stuck on 1GB ever since the iPhone 5. This hasn’t really been much of a problem, because iOS is so efficient that developers have been able to continue making apps and games superior to most things on Android, while sticking within the 1GB limit. This may be about to change, however, according to a new report circulating in the Taiwanese media, which suggests that Apple plans to boost up its iPhone to 2GB of LPDDR4 memory for its forthcoming iPhone 6s, which will likely arrive this September. The advantage of LPDDR4 over the LPDDR3 RAM used in the current generation iPhone 6 and 6 Plus is that it doubles the devices’s bandwidth from 17GB/s to 34GB/s, while still maintaining the same power consumption. According to the rumor mill, the RAM modules for the next iPhone will be split between Hynix, Samsung and Micron-Elpida — with Hynix taking half of the orders, Samsung taking 30 percent, and Micron-Elpida getting the remaining 20 percent. 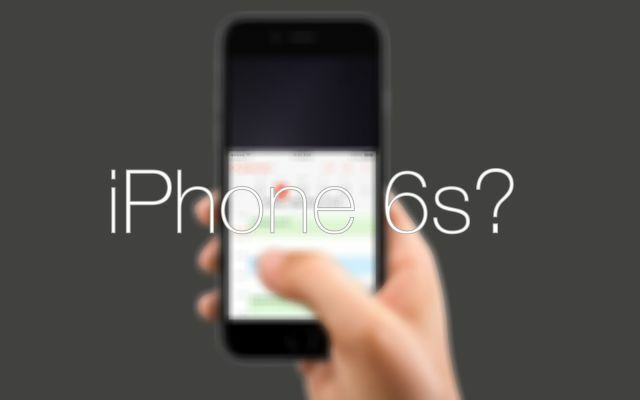 Other reports about the iPhone 6s have suggested that it will come with a significantly improved camera, sporting a dual-lens setup with optical zoom capabilities and a 3D pressure sensor. for the iPhone 6s, which will likely arrive this September. Given Apple’s history with its incremental “s” upgrades, it is unlikely that the phone will receive any kind of exterior redesign, which limits all improvements to internal ones. This entry was posted in iRumors and tagged iPhone 6S, irumors, iRumorsnow, RAM. Bookmark the permalink. Crack the code in Do Not Believe His Lies.